A quick and convenient tactical or patrol belt that excels in a wide range of environments, the 5.11 Tactical 1.75" TDU Belt can be quickly converted into a secure tie down or secondary carry strap. Crafted from rip-resistant nylon, the 5.11 TDU belt incorporates a durable non-metallic buckle that won't set off metal detectors, making it an ideal choice for air travel. 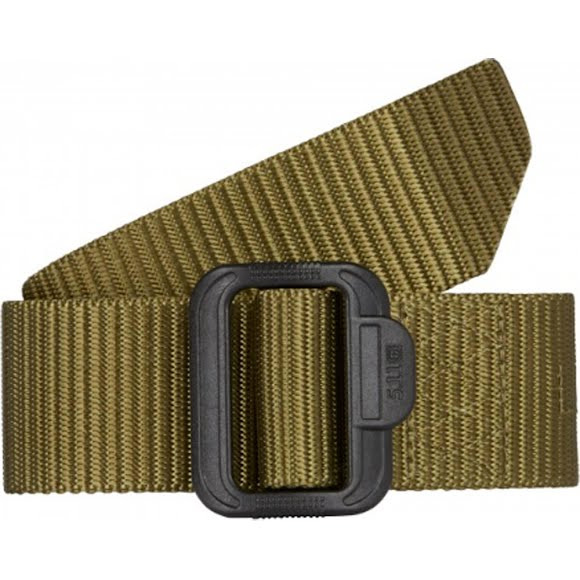 A quick and convenient tactical or patrol belt that excels in a wide range of environments, the 5.11 Tactical 1.75" TDU Belt can be quickly converted into a secure tie down or secondary carry strap. Crafted from rip-resistant nylon, the 5.11 TDU belt incorporates a durable non-metallic buckle that won&apos;t set off metal detectors, making it an ideal choice for air travel. Ergonomic, affordable, and highly functional, the TDU Belt is a versatile addition to your tactical or duty wardrobe. 5.11 Tactical TDU Belt Sizing (Extended Sizes) 2X 3X 44 - 46" 48 - 50"